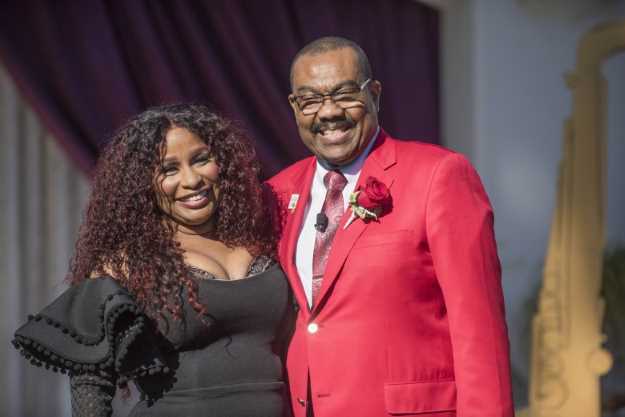 Singer Chaka Khan's voice is a bit weary after a day of interviews about her upcoming role as the grand marshal of the Rose Parade,. but her enthusiasm is strong for the role she'll play in the iconic New Year's Day parade this year. "When I heard 'grand marshal,' the first thing I thought of was me with a baton, marching and leading the band," Khan says, and then laughs. "It's very different! "I've learned my duties," she says. "It's akin in a way to being, not Miss America, but Miss Ohio or Miss Chicago, you know? Something like that. It's got a pageant to it." Not that we wouldn't enjoy the heck of watching Khan leading the parade with a baton, but she'll actually be doing something much more fitting for a singer whose career reaches back 45 years to her time as lead singer in Rufus, a powerhouse funk band from her hometown of Chicago. Her work has since wound its way through the worlds of R&B, disco, pop balladry and much more. "I was honored and I was excited to do something new," Khan says. 'I love doing new things, and I like challenges. I like doing things I haven't done before." Khan is the first singer to serve as grand marshal since Frank Sinatra did in 1980, and unlike Old Blue Eyes she'll be performing in parade, too. "We'll stop, have a few stops," she says. "Pull up, I'll get out of the car, sing a few songs. And then get back in and roll away. "The singing is the easiest part of the whole thing," Khan says. 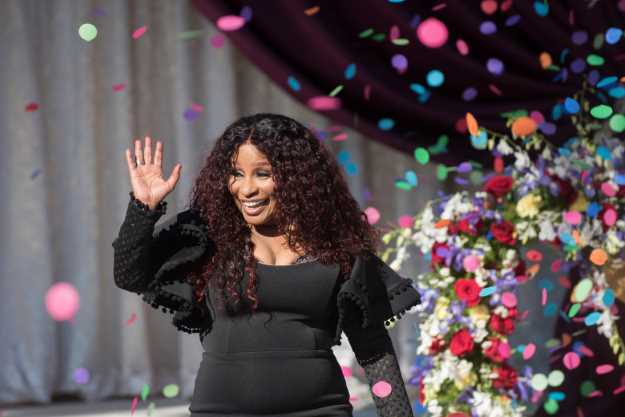 The songs she'll do for the parade included "I Feel For You," the Prince-penned song for which Khan won a Grammy in 1985 for best female R&B performance, and her new single, "Hello Happiness." The single, which follows "Like Sugar," and will be included on her new album in February, represent her latest musical innovation, singing her typically powerhouse vocals with music contributed by various DJs she admires. "It's paramount to try to new and different things," she says. "It keeps me interested, you know? Otherwise it would just be mundane. "I want to live life while I'm singing and I want to try new things while I'm singing, and incorporate new experiences in my music with the music," Khan says. "It's hard enough to be singing the same songs for 100 years, so you want to do things you don't know." Those songs she's been singing, though, include a lot of classic tunes, from "Tell Me Something Good," which Stevie Wonder wrote for Rufus and became a Grammy-winning hit single in the early '70s to "I'm Every Woman," her debut solo single as she tried a bit of disco later that decade, to "I Feel For You" and more recently, the 2007 No. 1 dance hit "Disrespectful" with Mary J. Blige. She's been rehearsing all month in the run-up to the Rose Parade, not just the songs but the choreography of the performances she'll do during the parade and when she sings at the pre-game show before the Ohio State Buckeyes and Washington Huskies meet in the Rose Bowl later on New Year's Day. "It's really children-oriented for me," Khan says. "(I have) a love for children, and a love of family dynamics. Kids doing stuff with me. "I'll be singing and dancing with kids," she says of her Rose Parade performance. "It will be great."